Tyco Electronics 12VDC DPDT (2 Form C) Nano Relay is the smallest automotive PCB relay in its class, measuring only 0.60" (15.4mm) long x 0.40" (10.2 mm) wide x 0.55" (14.0mm) tall. Features high reliability due to overmolding process. Rated 15A Normally Closed (NC) or 20A Normally Open (NO). Silver based contact material. Coil resistance is 180Ω. Fully enclosed type. Has 8 PCB pin terminals. 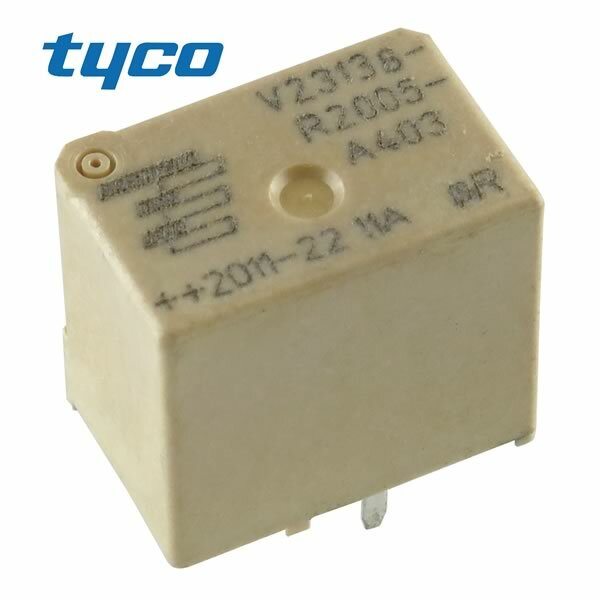 Tyco Electronics Part# V23138R2005A403.